You are here: Home > News > Northern Ireland’s 2018 Heritage Angel Awards Shortlist Announced! 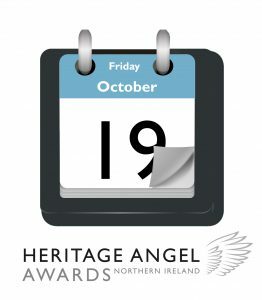 The search for Northern Ireland’s Heritage Angels is progressing with the final Heritage Angel Awards shortlist revealed today. These annual awards aim to celebrate unsung angels of local heritage including – individuals or groups, who have rescued an historic building or site, worked as craftsmen or apprentices, or recorded and interpreted a historic place. The Angel Awards are not just about heritage, but the people that make heritage projects happen. Showcasing what is possible when people have passion, care and consideration for our heritage. Comprising of 15 projects across 5 different categories, the shortlist highlights a range of diverse heritage initiatives across Northern Ireland. The 2018 shortlist includes private owners; volunteers; community groups; apprentices; craftsmen and young people. All of whom have developed their interest in heritage, in different ways and applied their interest into quality schemes in Northern Ireland. The judges now have the difficult challenge of choosing the winners! To see the shortlist here. 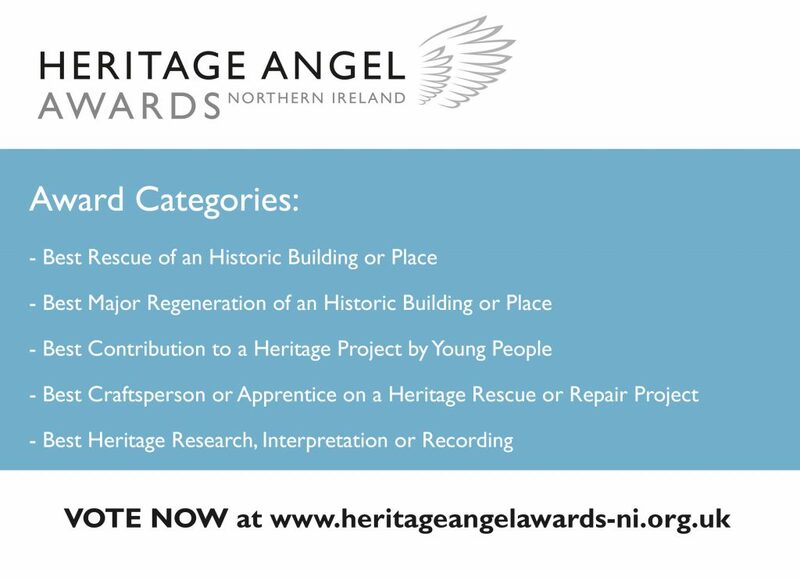 We are also asking members of the public to cast their vote for their choice from the shortlist online at www.heritageangelawards-ni.org.uk. This is open until Friday 19th October. Vote now for your favourite project! 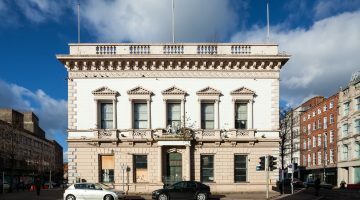 “We were truly overwhelmed with quantity and quality of applications/nominations received in this the second year of the Heritage Angel Awards in Northern Ireland, which has highlighted the continued strength of interest in preserving our historic buildings and sites for future generations”. “Protecting architectural heritage is a vital part of cultural life. Architecture is the most vulnerable art form and one that I have been passionate about all my life. I’m delighted my Foundation can support the Heritage Angel Awards for the second year in Northern Ireland and shine a spotlight on those who have made a significant contribution towards protecting the country’s heritage. By raising awareness of the impact individuals can have, our aim is to inspire others to get involved and work together to save and protect Northern Ireland’s heritage for our future generations”.